Fettuccini with Butter and Sage Sauce — Good Food Makes Me Happy! 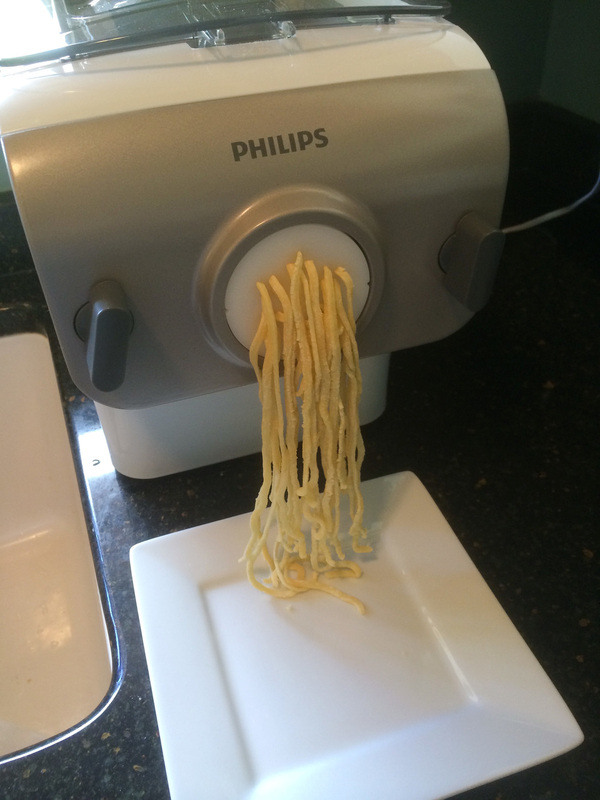 I've been so excited to try out my new Philips automatic pasta machine, and for my first batch I made about 10-1/2 ounces of fettuccini with a mix of semolina and all-purpose flour, water, egg and a touch of olive oil. 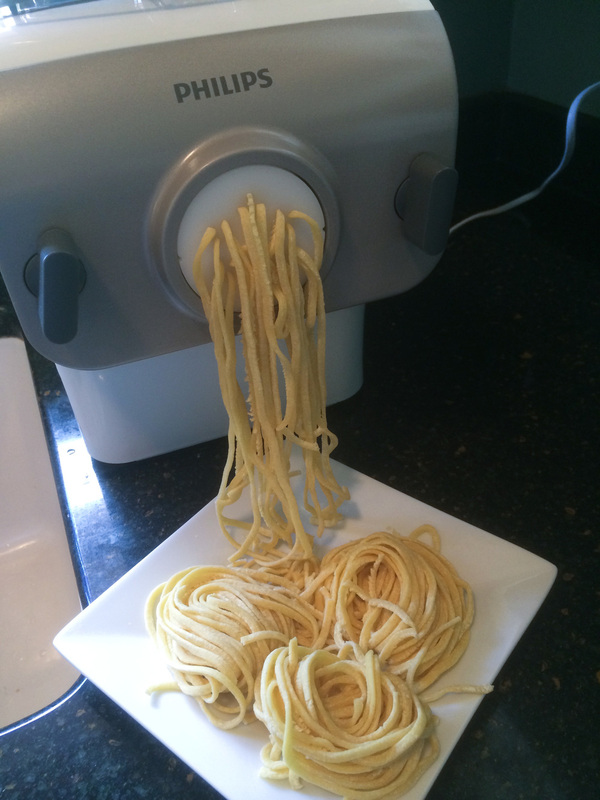 Fresh pasta is such a treat. I cooked it immediately after it came out of the machine in heavily salted water. It took about 7-8 minutes to cook. 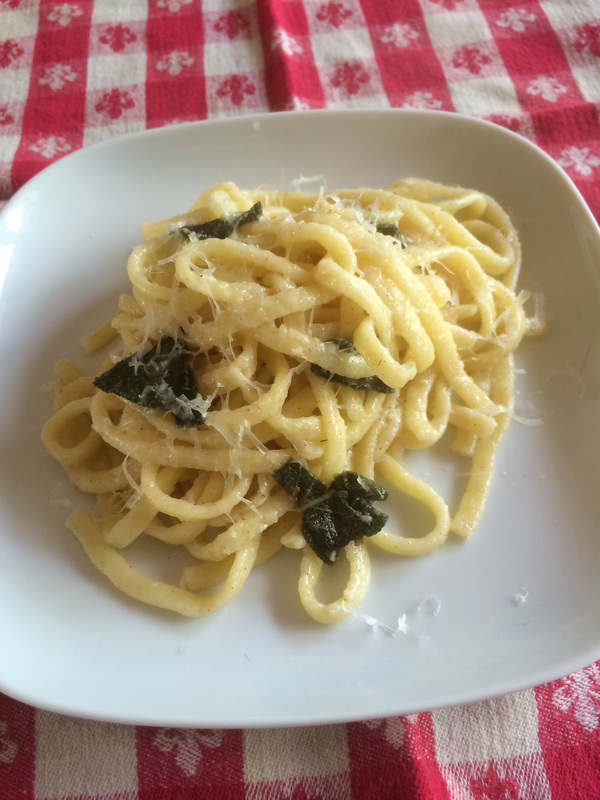 Since I have loads of fresh sage in the garden right now, Mario Batali's butter and sage sauce was a no brainer! Simple yet elegant. Melt butter in a 12- to 14-inch saute pan and continue cooking until a golden brown color ("noisette") appears in the thinnest liquid of the butter. Add the sage leaves and remove from heat. Add the lemon juice and set aside. After pasta has cooked, drain (reserve about 1/2 cup of cooking water), and gently pour into the saute pan and return to the heat. Add the cheese (and a little pasta water if needed)and toss to coat. To serve, sprinkle with the lemon zest and more freshly grated parmesan.